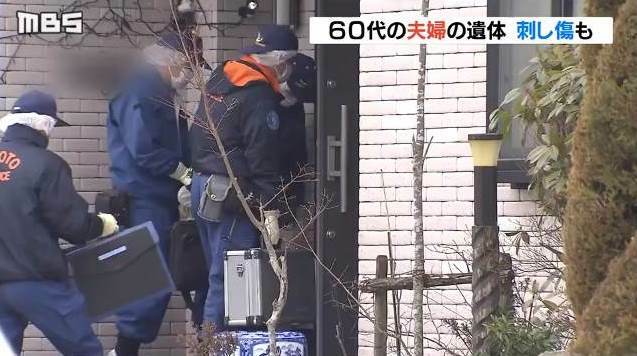 KYOTO (TR) – Kyoto Prefectural Police are investigating what is believed to have been a murder-suicide after the corpses of a man and his wife were found in their residence in Kyotango City on Saturday, reports the Sankei Shimbun (Feb. 25). At around 7:00 p.m., a man alerted emergency services to report that both of his parents, aged in their 60s, were dead in their residence in the Mineyamacho area. 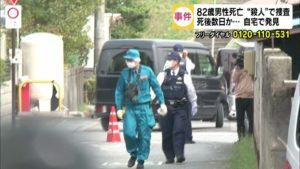 Officers from the Kyotango Police Station arriving at the residence found the man’s father collapsed with at least one stab wound on the first floor. 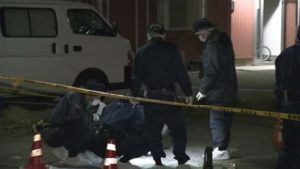 The body of his mother, which did not exhibit any external injuries, was found on the same floor. A blood-stained knife that is believed to have been used in the crime was also found at the scene. As well, the front door was locked when the bodies were found, police said. The son visited the residence to check on the physical condition of his father, police said. Autopsies will be conducted to determine the causes of death. Police did not divulge details as to how it is believed the crime was committed.